The world media reported about the risk of mental health problems if smoke marijuana on regular basis. This information is not new. However, scientists at the Psychiatric Center in Prague argue that smokers of new cannabis strains with a high THC content have a greater risk of schizophrenia because these strains do not contain cannabidiol, which counteracts THC and has an antipsychotic effect. Marijuana is a causative agent of schizophrenia – this is the favorite argument of supporters of cannabis criminalization. Let us remember that people have been smoking marijuana furiously over the millennia. So why should the legalization affect the mental health of the citizens adversely? If smoking marijuana is so risky, it is logical to assume that schizophrenia would be specific to individual populations. In other words, if you had to compare different countries a country with more marijuana users should have more patients suffering schizophrenia. In reality we face a contradiction between theory and empiricism – the number of people with schizophrenia is relatively the same worldwide. The risk of schizophrenia is about one percent of the total population. And this tendency is common to all cultures and peoples. Deviances were found only among the ethnic groups that live in isolation and are not mixed with the majority of the population. For example 17% of Endogamous Inuit of northern Sweden suffer schizophrenia. In this view data of the World Health Organization are very interesting. The top list of countries with the incidence of schizophrenia regarding the length of life was compiled in 2004, based on DALY`s data. In essence, it is an economic indicator that expresses the degree of influence of the disease on the economic activity of the population. At first glance the map of the World Health Organization indicates that there are significant differences in the spread of the disease worldwide. But the truth is the opposite. There are twelve integrals on the cartogram. Countries in the range of ≤ 185 marked with yellow, countries in the range of ≥ 295 per 100 000 inhabitants marked with red. Color shades in between indicate subtle differences. Even a cursory glance at the map of Europe shows that almost all the European countries are quite similar in case of incidences of schizophrenia. It turns out that in the Czech Republic, which according to the same period surveys is the largest consumer of cannabis in Europe, the prevalence of schizophrenia is about the same as in other European countries. The index of incidence of schizophrenia among young people in the Czech Republic is comparable with Germany and Austria and even a little less than in France and Switzerland. 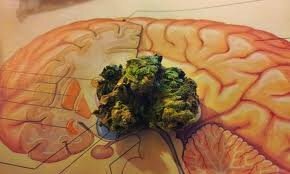 If marijuana is a major cause of schizophrenia, then this should be reflected in the distribution of schizophrenia. At first, there are many other risk factors for schizophrenia in the Czech Republic. The risk of schizophrenia in relation to cannabis use will mean that statistically the Czech Republic is at the same level with Germany or Austria. The risk of schizophrenia developing due to cannabis use is not statistically significant enough that it could affect the overall statistics. Secondly, the risk of schizophrenia developing concerns only regular marijuana smokers who have a predisposition to the disease. Occasional smokers and new users should be eliminated from the total number of marijuana users. Those who smoke it on the regular basis and have a predisposition to the disease also should be eliminated. And only among the remaining number of consumers we should determine the risk of schizophrenia. Third, is it possible to protect young people from schizophrenia prohibiting marijuana? The British Government Commission on Drugs considers it appropriate to prohibit the 5,000 young people to use marijuana to prevent schizophrenia in one person. There is another possible explanation for the \”paradox\”. 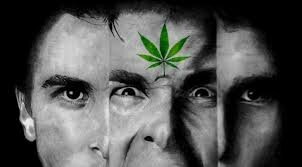 Danish researchers have found that if a person was liable to schizophrenia it would occur any way whether he smoked marijuana or not. It is possible that marijuana could be a risk factor for disease-prone people. But at the same time, marijuana does not affect the overall incidence of schizophrenia in the population as the keys to the disease are stressful environments, the death of a loved one, and so on. Psychiatrists believe that schizophrenia is also common among smokers and the number of cases is increasing. Of course, it would be good to know all the risks associated with drug use including the potential risk of schizophrenia or other psychoses. But only scientifically proven facts should be used, not impressions. Parents, teachers and education specialists should explain it to the kids, not intimidate them.